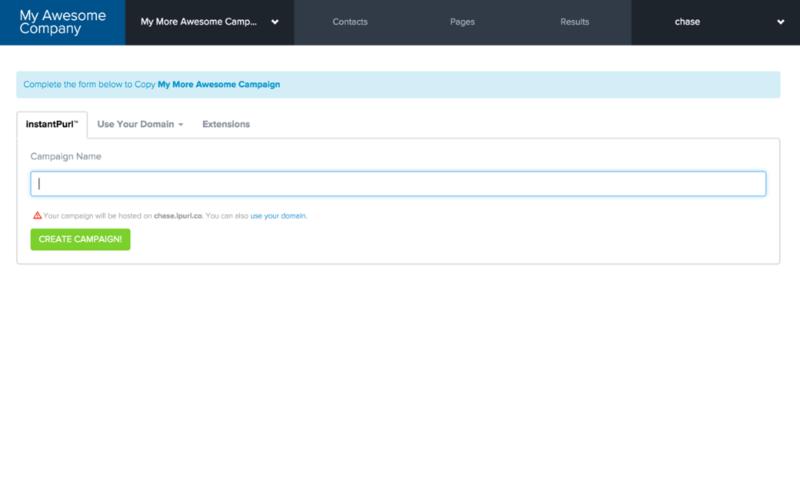 Purlem makes it easy to copy a campaign's settings and design to a new campaign. 1. 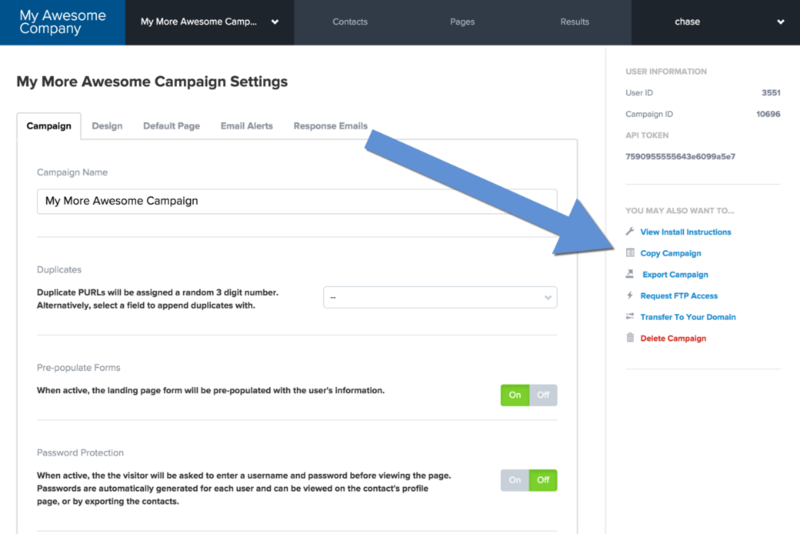 Under the "Settings" tab, Select "Copy Campaign" in the right column. With your FTP password we will be able to download the existing landing page design to use for the new campaign. You can also choose to skip this step, and only use the campaign settings. By providing this information, Purlem will be able to download the existing landing page design to use for your new campaign. 2. If the campaign is successfully copied, continue creating your new campaign. The setup process is the same as creating a new campaign. 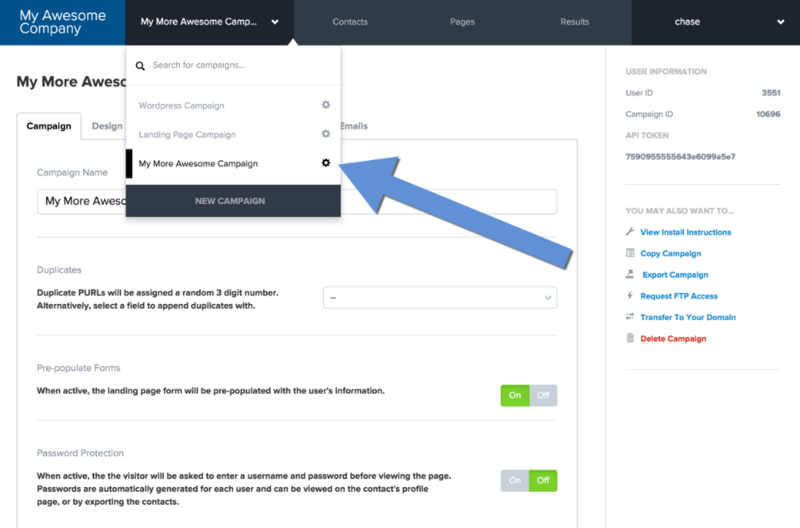 Your copied campaign's information will automatically be applied to your new campaign.